A lesson on seeing something through the eyes of another. 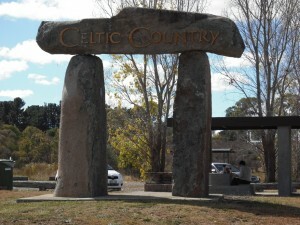 I had travelled past the Celtic Country sign many times as I returned from TAFE residential in Armidale. I had looked at the sign with interest; it is spectacular as it stands proudly on massive stone pillars on the rise of a hill as you enter the town of Glen Innes. I may have vaguely thought as I drove past, ‘Why is this Celtic country? ‘Was it because it was settled by Celts?’ Then my thoughts probably would have returned to my classes. On one particular trip, I was sharing a ride with a fellow student who had also become a friend. As we approached Glen Innes the sign came into view. This time the sign took on a much stronger meaning to me as I sat beside my friend and fellow student, Gail Mabo. Gail had told me stories of her early family life. She was a proud woman who had made her own way in the world of contemporary dance in Australia, but was also still very much the daughter of Edward Koiki Mabo. She was proud of her father’s fight against the Australian government for the right to own his inherited land. Gail’s father was born a Meriam man from the remote Murray Island in the Torres Strait. Koiki grew up mastering two cultures, his own and what the Islanders called ‘the white man way of life’ (Loos & Mabo, 1996). At a lunch meeting some time between 1972 and 1975 Koiki told Loos about his landholdings on Murray Island. It was then that Koiki learned with shock that the Torres Strait Islands were crown land, designated as ‘Aboriginal Reserve’. This was the beginning of Koiki’s ten-year struggle for recognition of native title (Loos & Mabo, 1996). Land rights were only part of Koiki’s achievements; another was his establishment, with his friend Burnum Burnum, of a Black Community School in Townsville. This school survived for twelve years in the face of inadequate funding and some active opposition from officers in the Queensland Education Department. The school promoted parental and community involvement as well as the teaching of Torres Strait Islander culture and language (Loos & Mabo, 1996). Here I was, sitting in the enclosed space of the car with my friend, and woman from the Torres Strait Island culture, looking out at our country. I was sitting with a friend whose father had helped establish a school to provide educational rights for his family and people. A woman whose father had struggled for ten years to gain legal land rights to land that had been passed down in his family for many generations: a father who had died five months before the High Court had finally ruled in his favour. This ruling in the Mabo and Others v. the State of Queensland (no.2) (1992) had destroyed the legal doctrine of terra nullius by which Australia had been colonised (Loos & Mabo, 1996, p. xxvi). This sign in this context provided me with an overwhelming sense of my whiteness, and what it represented. It was so much more than a massive stone sign; it was a symbol that represented something. This moment also gave me a sense of looking at this sign through different eyes. Gail said in her normal speaking voice ‘I wonder what the local black fellas think of that?’ For the first time I really wondered if at that moment I was given an insight into what the traditional owners of this area might think and feel about this sign. One instance of the union between the physical and spiritual is the relationship of the Aboriginal with land. A spiritual linkage existed between a person and a specific site or part of the country by virtue of his birth or sometimes his conception. Further, anthropologists such as Stanner (1998) wrote of the extremely complex context of the Dreaming, the law and country. When mentioning the Dreaming the reader must learn to ‘think black’ and not impose a Western category of understanding. The Dreaming is many things: ‘It was, and is, everywhen [sic]’, it is stories, law, spirit-site and totem, and all related to country (Stanner, 1998, p. 228). There are numerous literary examples of how Aboriginal Australians relate their culture to country. Bob Randall is one of the traditional owners of Uluru. This is his country and the naming right of it has been given back to the owners. It was where he was born. He was one of the stolen generation. When Randall discusses The Dreaming he says those of us who are non-Aboriginal may liken it to an intuitive awareness, where for him it is ‘to feel out situations, to read people, and to talk to country’. He goes on to say that when he was taken from his people and country as a child it ‘was like a spiritual death’. He says that Aboriginals are not like white people who think of themselves, primarily, as individuals, he says we are always family, connected to country (Randall, 2003). When we take into account the complexity of Aboriginal Australians’ relationships to country we may get a sense of understanding why the Celtic sign may have caused Gail to make her comment. It is not just about naming a place, it is about naming country. I knew the significance of country immediately Gail commented on the sign, but until that moment I had not really thought about the sign or its significance. When Martin (2008a, p. 61) discusses Aboriginal worldviews she reminds us, ‘Relatedness is experienced and known according to the Ancestors of an Aboriginal group, and then to country’. An aim of this story when told with the depth of ‘relatedness’ is to give the reader a greater, more profound understanding of my lesson. That being the lesson of greater awareness of Aboriginal relatedness that I had not been able to understand due to my senses being dulled by white noise. By looking at this story with relatedness, across a context that takes into account the conditions that Martin (2008b) lists as physical, spiritual, political, geographical, intellectual, emotional, social, historical, sensory, instinctive and intuitive, a story of consequence may be related. This is just one incident that brought to my attention an everyday life situation from the point of view of an Aboriginal person. I wonder how many non-Aboriginal people drive past that sign, look with interest at the large rocks and think about the land as Celtic heritage. Do they think about the Aboriginal custodians and how they may feel about that sign? The Celtic people have a very old heritage, but in Australia it is very new, while Aboriginal heritage is over 40,000 years. This story was a powerful moment for me, and I tell it in the hope that you may gain an understanding of how many colonisers and their descendants have come to accept and perhaps not recognise the quiet institutionalised racism that surrounds them. Ellen Gallagher is another woman who also believes in the importance of early childhood education for Aboriginal children and has a story to tell from this so-called Celtic country. 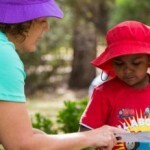 Her story is about her research into Aboriginal participation in early childhood services in the Glen Innes, Severn and Tenterfield local government areas. Her finding in her 2006 report ‘Lets start talking for the little fellas’ (Gallagher, 2007) showed that in Glen Innes 34% Aboriginal children attended an early childhood service the year before going to school compared to 80% of non-Aboriginal children. Our centre at Tabulam, which is on the boundary of this same local government area, has a very different attendance rate for Aboriginal children. 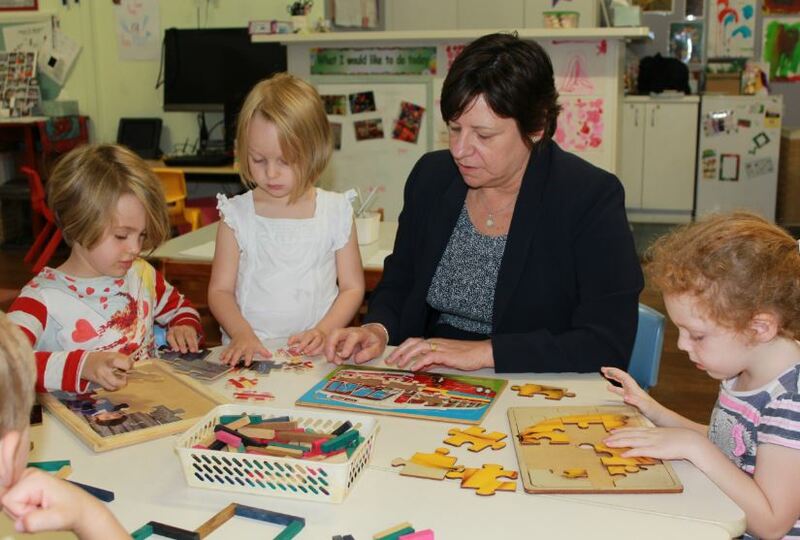 In 2006 we had over 85% of Aboriginal children in the local area attending our preschool. But, Gallagher’s report is another story and how can we ever know if there is any relationship to my story and thoughts on institutional racism? 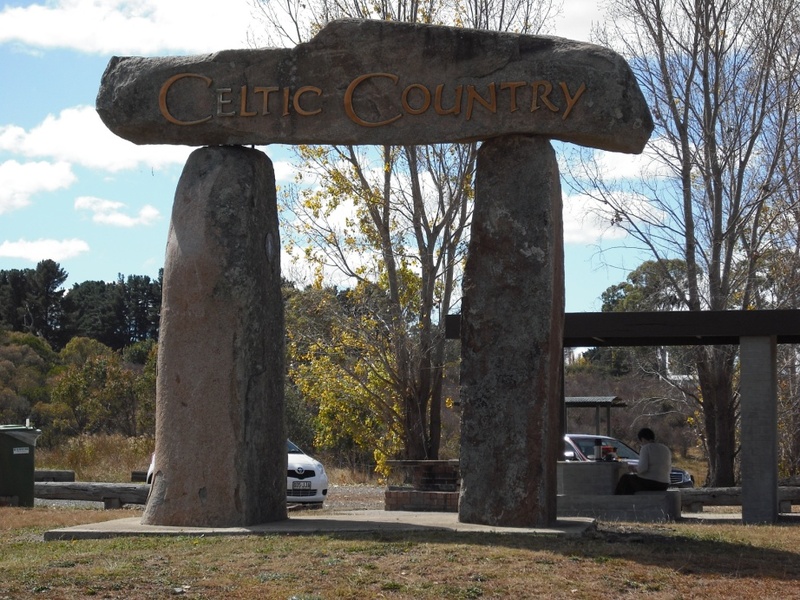 The second post-script comes after I presented a paper based on this ‘Celtic Country’ story at the second Australian Narrative Conference in 2009. Sitting in the front row was Lorina Barker, a Wangkumara and Muruwari woman and academic. After my presentation Lorina spoke to me, and said that she was glad I had told my story, as it was important for non-Aboriginal people to recognise institutional racism in its many forms. She went on to say that there are many instances of different forms of discrimination in an Aboriginal person’s life that mostly go unnoticed by even well meaning non-Aboriginal Australians. Feedback from several non-Aboriginal academics also suggested that this story had given them an opportunity to see a form of institutional racism that they had not noticed before. 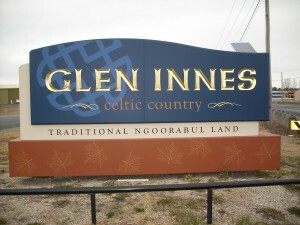 In conclusion to this story, in 2009 additional signs were added to the southern and northern entrances to the town of Glen Innes, that gives recognition of the area as traditional Ngoorabul land. The point of this story is to highlight how easy it is to slip into institutional racism without realising. Through being open to the context of a situation through the use of ‘relatedness theory’, we have the opportunity to perceive things in a new light. 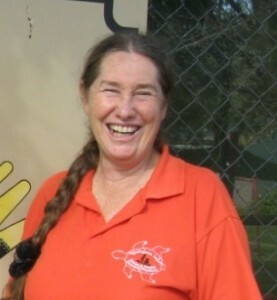 Karren Amadio has worked at the Ngallingnee Jarjum Tabulam & District community preschool for 29 years. She has job shared the role of director with a local Bundjalung women for the past 23 years. Currently Karren works two days a week at the preschool and does contract work for the early childhood unit at the University of New England. In 2011 she completed a Masters thesis titled ‘An Aboriginal and non-Aboriginal find Relational space: Yarns from a Joint Leadership Team at a Rural Community Based Preschool’. This thesis tells the story of a relationship of belonging, of community and of creating a place for early childhood education. As a non-Aboriginal person living, teaching and working with community in the traditional home lands of the Wahlubal tribe from the Bundjalung Nation, Karren needed to learn about, and understand how to turn down ‘white noise’. With this understanding she was able to move from a contact zone to a relational space with colleagues and community. What a great story, thank you. 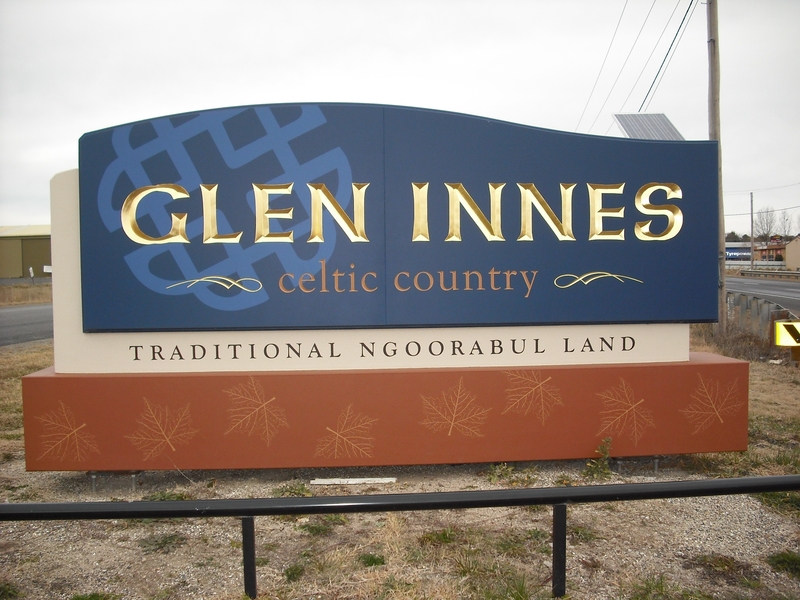 As a non-Aboriginal person on my own cultural journey, I acknowledge the Glen Innes sign is an improvement but I still find it offensive. To me it still shows the current attitude – a token response that visually implies that Celtic Country stands over, on top of, Ngoorabul Land. It doesn’t look like reconciliation to me. So which words might be better? Maybe Celtic Culture, Ngoorabul Country – same size letters all on the same line?